This remodeled 3BR, 2BA house is on a corner lot and convenient to the interstate, malls, shopping, and many great restaurants! In 2016, the house was remodeled and many BRAND new systems installed and upgraded such as the new HVAC, new tankless water heater, new windows with low-e and Argon, new architectural tile roof with radiant barrier panel, AND electrical updated. 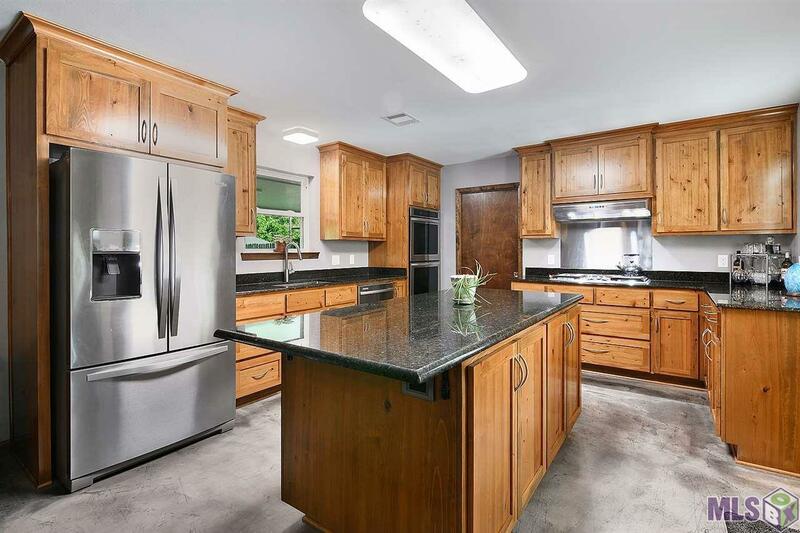 The kitchen, dining and living rooms were completely remodeled providing an open concept with stained stylish concrete flooring. The kitchen has brand-new beautiful cypress cabinets with soft-close closures, granite counter tops, full-size double convection oven, 36â gas cook-top and hood, and a beautiful functional island for all your gatherings! Other updates include new exterior doors, new insulated patio cover, and solid wood bedroom doors. The backyard is a lush paradise perfect for entertaining! Did NOT flood in 2016! Come and view it today. Exterior: Landscaped, Patio: Covered, Storage Shed/Bldg.